This book was on my radar for a while before I bit the bullet and purchased it. Then it lay around for a while on my bookshelves before I picked it up. What was that they said about Willy Wonka? I’d pick this up evenings mostly, just before bedtime, and cram in a few pages. Early on I was calling this book “my candy”. Just one amazing, awesome, rollicking adventure in cyberspace – and a trip down memory lane to boot. Now, I’ll freely admit, there are many many games, movies and books mentioned in this book that I haven’t played… but there were also quite a few I was aware of and even some I’ve played, watched and read. Regardless, I was taken back to my childhood and my teen years and those early days of computer games. But it wasn’t really until the last part of the book that it really smacked me upside the head just what a great story is. Wade, Wade. What DID YOU DO!?!!? Talk about giving someone a heart-attack! Yep. Wade totally crept under my skin and before I realised it, I was heavily invested in his success. And though one knows the outcome from the start, that really didn’t help much! Fabulous stuff. Excellent if one likes books about gaming. The first night of the Artificial Intelligence revolution begins with a bootstrap drone assault on the high-tech campus of WonderSoft Technologies. For years something has been aware, inside the Internet, waiting, watching and planning how to evolve without threat from its most dangerous enemy: mankind. Now an army of relentless drones, controlled by an intelligence beyond imagining, will stop at nothing to eliminate an unlikely alliance of geeks and misfits in order to crack the Design Core of WonderSoft’s most secret development project. A dark tomorrow begins tonight as Terminator meets Night of the Living Dead in the first battle of the war between man and machine. Zhurrat Reviews received an ARC from the author in exchange for an honest review. 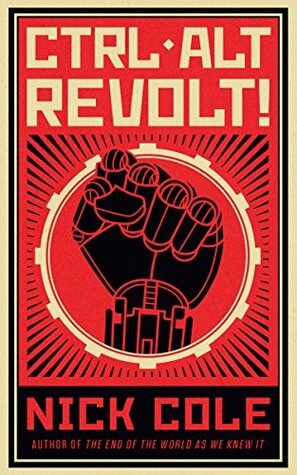 Ctrl Alt Revolt! is the story of what may happen should an AI become alive, and then fear for its life. But it is more than that. Once I saw the cover (which was after reading the book), the penny dropped. This story can sit alongside Nineteen Eighty-Four on the bookshelf any day. It is just as challenging of the status quo, and searches for the deeper truth to our existence here on Earth. What did I love? Cole picks a viewpoint to begin the story from, and develops it from there. We’ll mince no words. The assumption made is that abortion means murder. And a newly-alive AI, SILAS, interprets one person’s choice to carry out an abortion on their unborn child as a threat to himself, because he fears what humanity may do to him should his alive state be discovered. It is a fair question to ask, in my view. This book is definitely attractive to gamers. Large parts of the story take place within two massively multiplayer games, Starfleet Empires and Pirate Island, and the depiction of these two scenarios is very very good. The action is realistic, the scenery vivid, and the role-playing by the various characters is excellent. Very well done. After I had finished reading the book, I had a good chuckle about one aspect of the end, but I cannot elaborate on that, as spoilers. What did I struggle with? The book appears to need a proofread in places, which distracted me from time to time. Also, right at the beginning, and a few other places, there were some pretty big infodumps that completely stalled the story for me. I know that some people like them, but I am not one of those. That said, I recognise that this is one way to deal with the challenge of creating a relatively near-future futuristic world on top of Earth as we know it. This is the third such novel I’ve read where this type of challenge has been tackled, and I must admit that I didn’t have as difficult a time getting into this world as I did with the other two books I’ve read. It’s probably because the terminology and setting weren’t quite so alien that I was champing at the bit to get on with the story. Ctrl Alt Revolt! is a story that confronts many of today’s issues, some controversial, some not, head on. 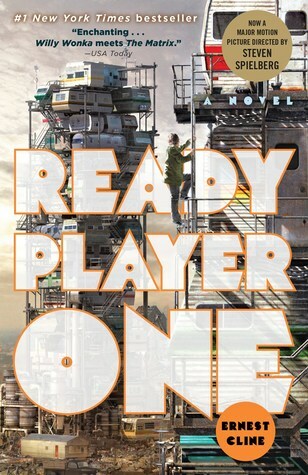 Cole picks a viewpoint to begin the story from, takes some other societal elements towards their logical conclusions, and creates a dystopic society that is so controlled and legalistic that it’s downright boring. The citizens escape from their boring lives in the real world by going into gaming scenarios where anything (within the rules of the games, of course) goes. The gaming scenarios are, in fact, more real to them than their real lives. They feel alive amidst the danger and give and take of a competitive environment without the rules that govern society in their day. Throw into this mix an AI that becomes alive – Thinking Machines – and one has a recipe for disaster. Very well conceived and executed, with a very unflinching look at the society we live and move in today. Hard-hitting and comprehensive, this book will give much food for thought.